Home Money Saver Tips Money Saver Tip #2: AmazonBasics Cheap HD solution for your cable TV. Money Saver Tip #2: AmazonBasics Cheap HD solution for your cable TV. Here is another huge money saving tip which can save you a fortune in your monthly cable TV bills!! If you are not a big HBO Go Fan or a TV fanatic and want TV channels for casual viewing and do mostly online TV shows this solution will please you a lot. 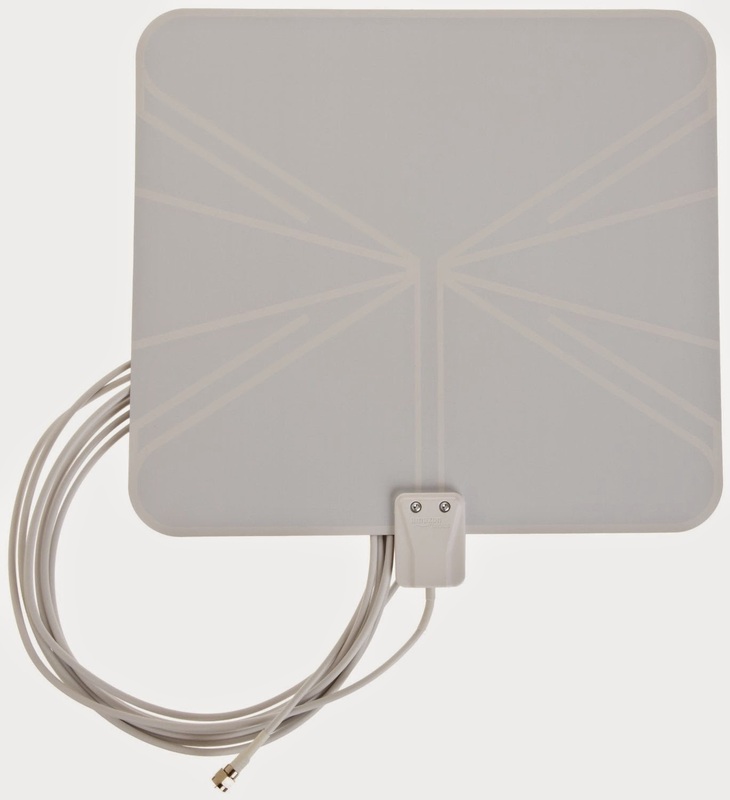 There is a very affordable HD Digital TV Antenna available on Amazon for less than $30 called as AmazonBasics Ultra-Thin Indoor HDTV Antenna. I was surprised that there are tons of high quality free to air HD channels which this Antenna can actually capture in the United States. I get about 20-30 HD channels using this Antenna and all are Digital Channels whose resolutions vary from 1080P, 720P and 480P. I even watch full HD NFL for free. Go Patriots Go. You can actually check which TV channels you can get in your Area using tvfool.com which will give you an approximate list of probable TV channels accessible in your area. Its as simple as it gets. Just attach the Antenna to your TV and keep it near you TV indoor. Yes Indoor and start scanning for TV channels. One of the biggest advantages of this Antenna is it goes to the TV cable socket and not HDMI port which saves you an HDMI port in your TV for other purposes. You will get a minimum 10+ channels. In case you want more channels you have to place the Antenna near the Window doing this I bumped up my TV channels from 13 to 26 and all good quality. Below is a very nice demo of the TV Antenna. This TV Antenna comes in 3 variants which cover range of signal capturing capability, which varies from 25, 35 and 50 miles. Going for 35 Mile TV antenna is ideal but if you think you live in a remote area which is away from TV towers then you better go for 50 mile. Once you buy the Antenna and install it, that's it you don't have to pay for cable TV. You get all the free high quality Digital entertainment free. Cable TV bills go from $10 to $50 and even if we consider $20 as an average you end up saving $240 for the entire year. If you spend more on cable TV you might save even more. Overall this is a really very good option for moderate TV watchers who can spend the saved money on other things which they can do every year like upgrade to a newer iPhone or put them in the Bank and start building for contingency.